New Banjo Book and CD! My first banjo book has just emerged into the light. It consists of 27 tunes from 19th-century sources. It comes with a CD of my performances on a gut-strung banjo, played with the flesh of the fingers (not metal picks). 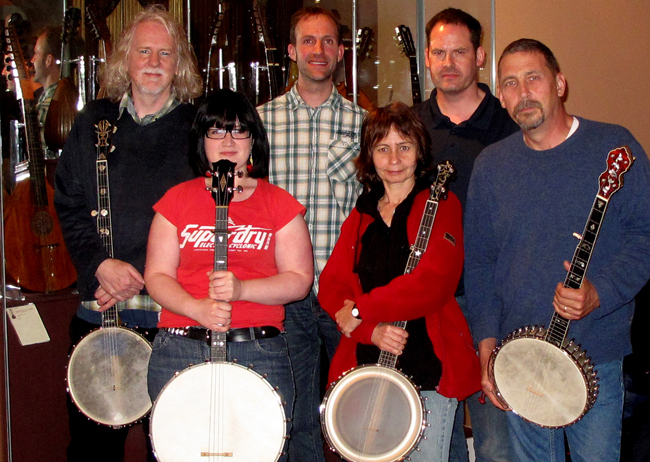 The sound is very different from the banjo of today, but the music can be played on modern banjos. Some great music in there! Here is the Forgotten Heritage: Great Banjo Music! Discover the birth of the American fingerstyle banjo in this collection of 28 of the finest tunes culled from banjo publications between 1860 and 1887. 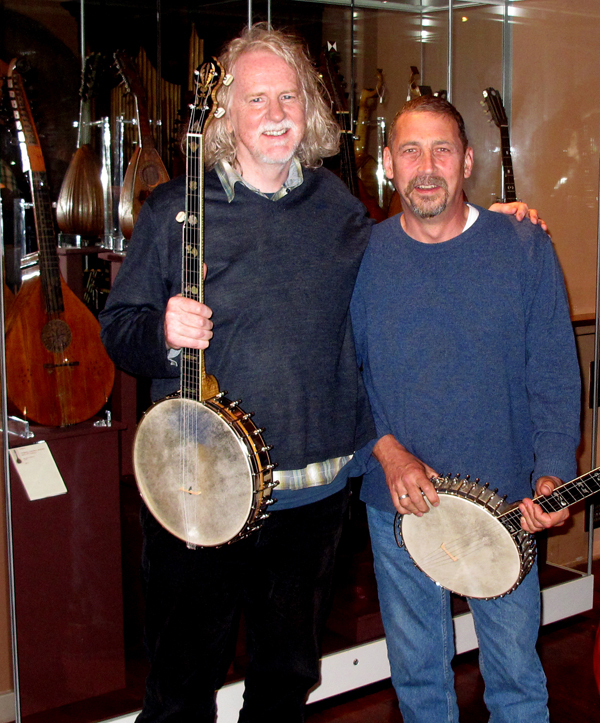 Learn amazing banjo music by some of the early leading players, James Buckley, Albert Baur, and the great Frank B. Converse, the greatest virtuoso of his day. From folk-style dances to parlor dances such as the Polka, Mazurka and Schottische, to advanced Romantic-period classical-style solos. 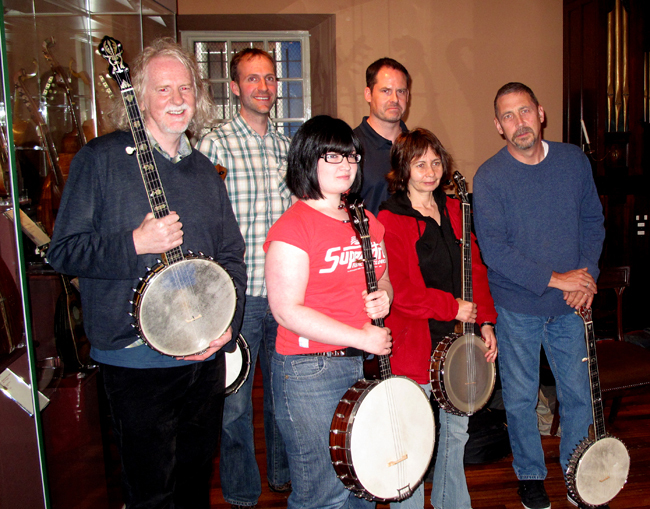 Can be played on modern banjos or period-style instruments. The CD recording by Rob MacKillop features a gut-strung banjo, and is played with the flesh of the fingertips, in the old American tuning. For modern instrument players, Rob has provided TAB and a Standard Notation stave at modern banjo pitch. Clawhammer players will find many of the pieces in the book suitable for their technique, and bluegrass/fingerstyle players will be able to play all the pieces. 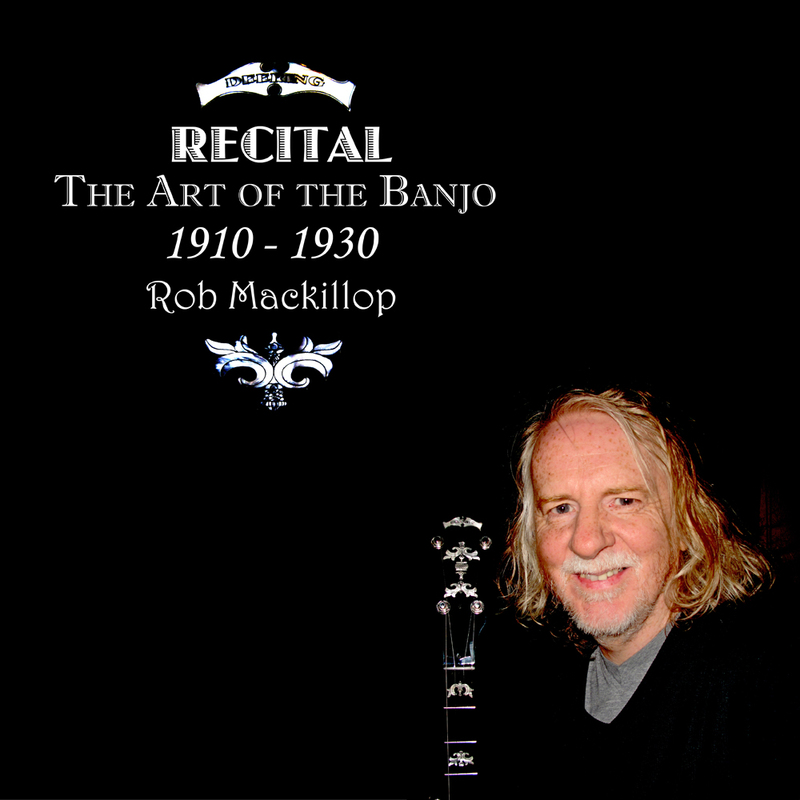 Rob MacKillop provides a fascinating introductory essay, placing the music in its historical context, while his CD of performances can be viewed as a stand-alone recording by a leading player in the revival of this great American banjo heritage. Here is the first video I’ve made with my new Malcolm Prior 13-course lute. Robert de Visee was a chamber musician at the court of Louis XIV. He wrote this funeral lament on the death of a very famous lute player of the day, DuBut. Stunning craftsmanship from Malcolm Prior. The main source for the scores has been Masters Of The Plectrum Guitar from Mel Bay Publications. This introduced me to the music of Harry Volpe, a name unknown to me before. His music crosses the classical-jazz divide, with much of it published in the 1930s. I have since tracked down (via Abe Books) a couple of old books by him, which should be with me soon. Mel Bay, himself, turns out to be a fine arranger. Check out his beautiful versions of Sweet Lorraine and Mighty Lak’ A Rose. The Auld Alliance Banjo Sextet! On Saturday the Scottish Classic Banjo Quartet was joined by two great banjo players from France, Eric and Pat Stefanelli. Eric made my main classic banjo, as well as his own and his wife’s. We managed to get rehearsal space among the treasure-trove of historical guitars, lutes, citterns and banjos in the Laigh Room, St Cecilia’s Hall, Edinburgh University. 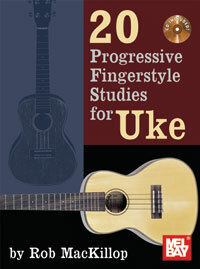 My first (of four) ukulele books has just been published by Mel Bay Publications. Twenty studies in different styles – Blues, Minimalism, Jazz, Folk, and even Serialism. Tab and Standard Notation. As part of my master plan to bring all my websites together under one roof, this blog-based website now has the address of RobMacKillop.net – it is not case sensitive, so robmackillop.net will also work. Note that www. is not needed, but no harm will be done if you add it. Feel free to add it to your Favorites, as it will now be my main site, eventually replacing the others. I will be returning to the lute this year, with a 13-course baroque lute on order with Malcolm Prior, and a 7c lute from Eric Stefanelli. Expect the ‘Lute’ page on this site to grow and grow. I also have a number of books and CDs being released for banjo and also ukulele. Watch this space.